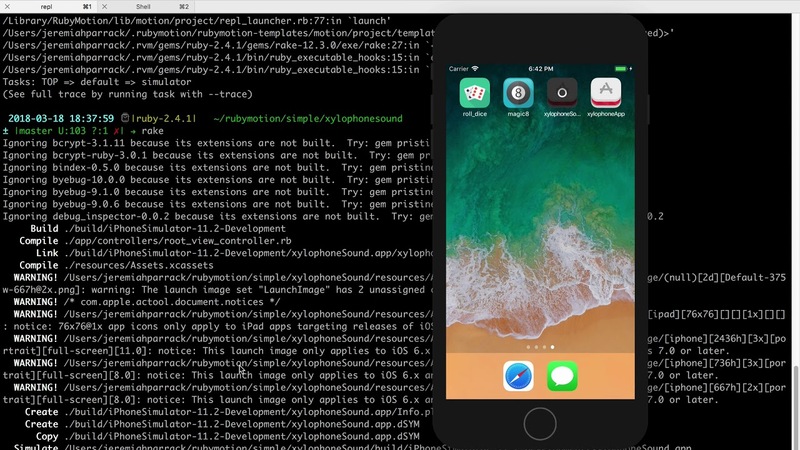 Includes demos of StylingKit (a library for styling your iOS app using a CSS-like syntax), motion-capture (for capturing images and videos), and updates from Lori about her code school. 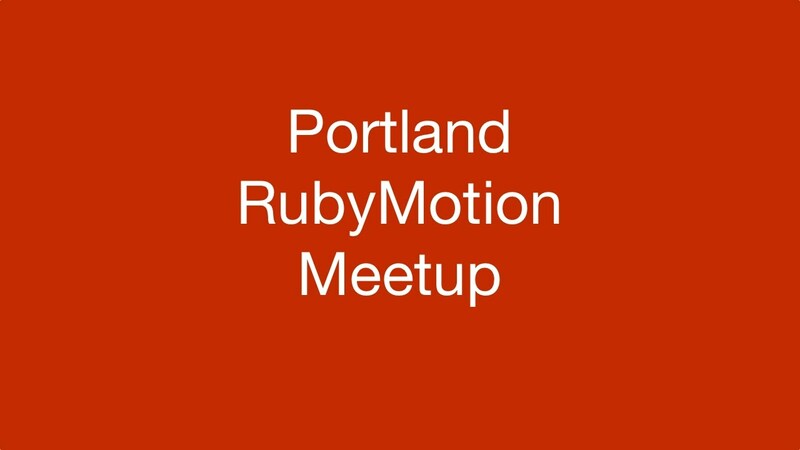 In this meetup, we discuss developing custom iOS UI controls, new developer experiences with RubyMotion, challenges dealing with circular dependencies. 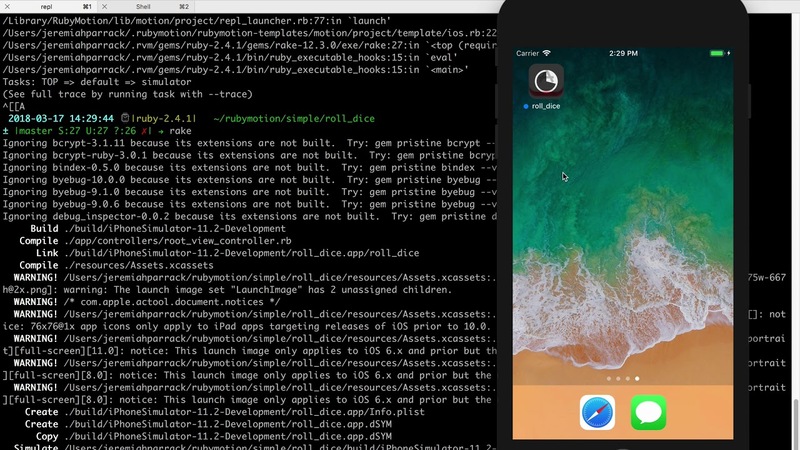 In this video, Jeremiah Parrack demonstrates how to build an app that allows you to "roll dice". Jeremiah Parrack demonstrates how to build an app that displays buttons and plays sounds. In this meetup, Andrew Havens gives a demo of creating tile maps and how to use them in a motion-game project. 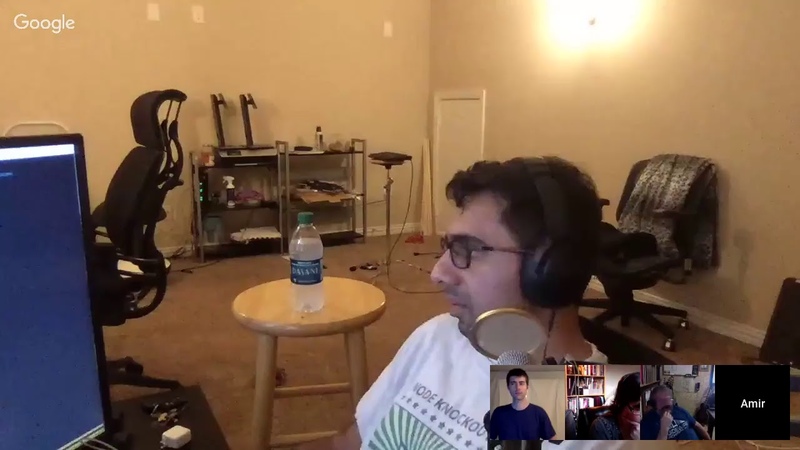 In this meeting we discuss the current status of improvements to RubyMotion, some ideas for third-party library usage, and a few different libraries for hybrid mobile development. This month we discuss building Apple Watch apps with RubyMotion. 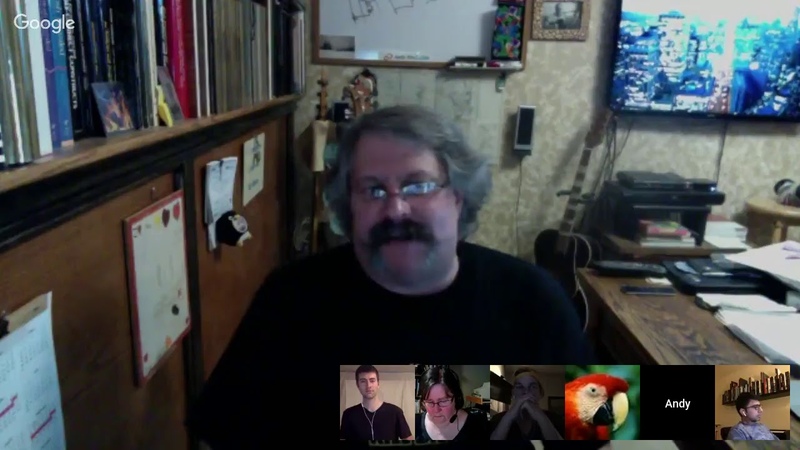 In this meetup Eli Duke leads a hack session on building an app which does image recognition. Unfortunately, we run into technical difficulties with the app as well as the video recording. In this meetup, we continue our work with motion-game by implementing more advanced collision detection. In this meetup, we work on building a simple menu bar app using RubyMotion. 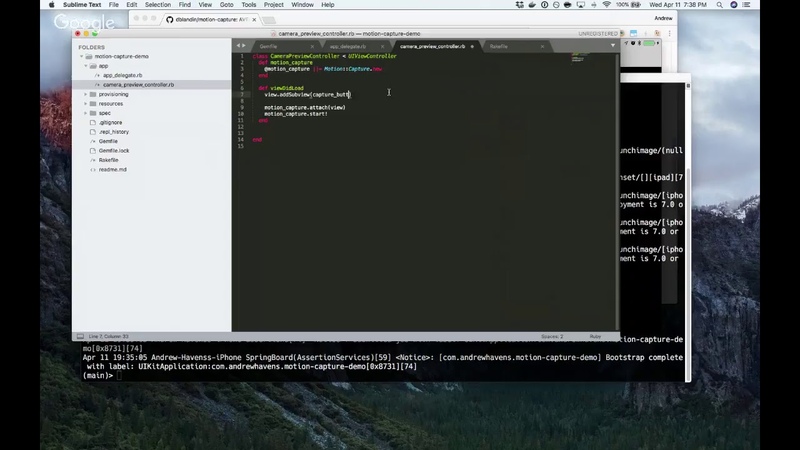 In this video, we convert some code written in Swift to RubyMotion. In this meetup video, we discuss mobile game development with RubyMotion and motion-game (which is built on cocos2d-x and box2d). We review some code to make an animated walking sprite, and add support for colliding with different objects.